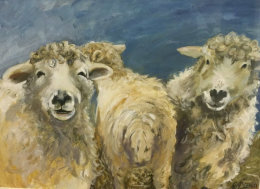 24th January-Lynne Davies- Animals- acrylic. by Trevor Waugh doing a demo of figures in a setting in watercolour. 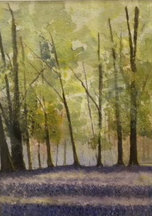 November 2018 demonstration was by Trevor Vaugh who did a wonderful and very entertaining demonstration in water colour. His subject was Venice and he concentrated on quick, 'loose' brush strokes to demonstrate painting people and groups of people. 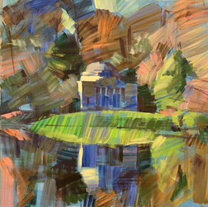 We had two competition themes this month as last month's demo was cancelled. 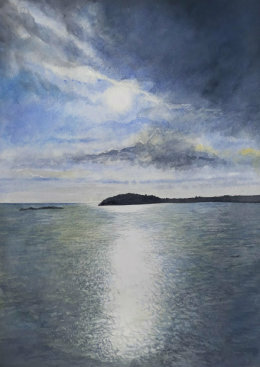 Seascape- Gill Evattwas judged by Trevor as the winner. September 2018 demonstration was by Colin Brown who demonstrated a wonderful vibrant painting of Stour Head in acrylic paints. The competition theme was Landscape. Richard Cook was judged by Colin as the winner. 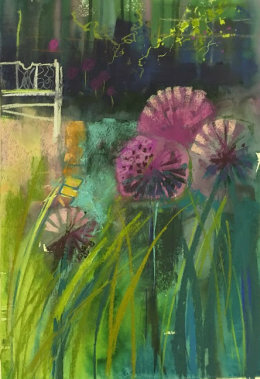 July 2018 demonstration was by Judy Tate who demonstrated a lovely free painting of Alliums using soft pastels and an acrylic ink under painting. 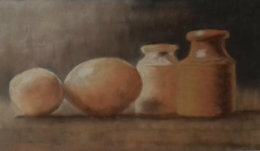 The competition theme was Still Life. Wendy Hayward was judged by Judy as the winner. June 2018 demonstration was by Lynn Friel on preparing for an exhibition. A wonderful interactional and friendly demonstration. The competition theme was Summer. Jocelyn Halfpenny was judged by Lynn as the winner. April 2018 demonstration was by Ronnie Ireland. It was on the subject of Painting with an Open Mind. 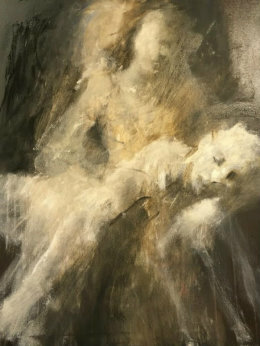 Ronnie did a wonderful demonstration in acrylic with big brushes of a seated woman with another figure across her lap. 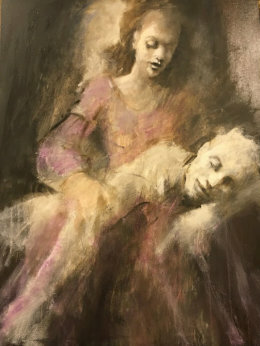 He painted very freely and his only thoughts were that the painting should show caring. It was very inspiring! 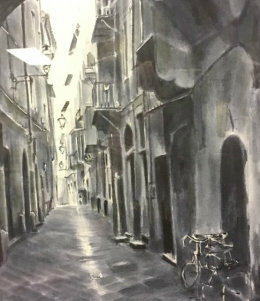 The competition theme was Street Scene. Mike Brown was judged by Ronnie as the winner. March 2018 demonstration was by Jake Winkle who did a great demonstration painting Venice in watercolour. The competition theme was Spring. Susie James was judged by Jake as the winner. February 2018 a very interesting discussion was by Helen Talbot. She talked about different ways to describe a subject. The competition theme was Skyscape. Tony Eaton was judged by Helen as the winner. 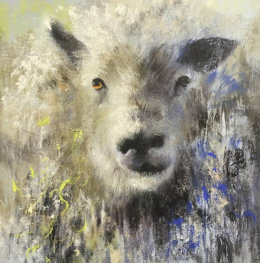 January 2018 demonstration was by Lynne Davis who did a wonderful demonstration painting a sheep! The competition theme was Landscape. Ruth Lewis was judged by Lynne as the winner.